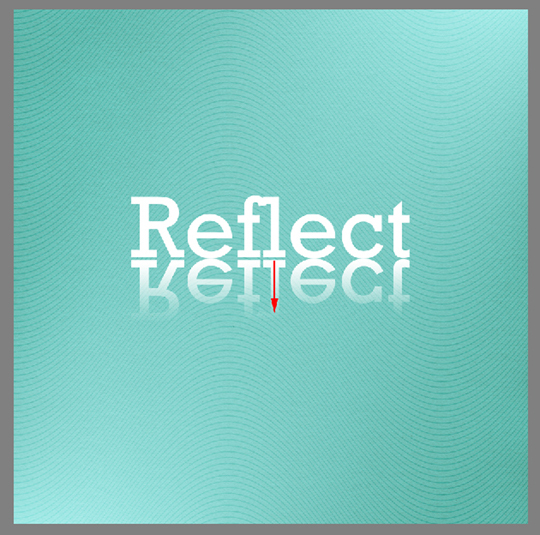 I’ve got a fun technique to share with you today – making a title that looks like it has a reflection. 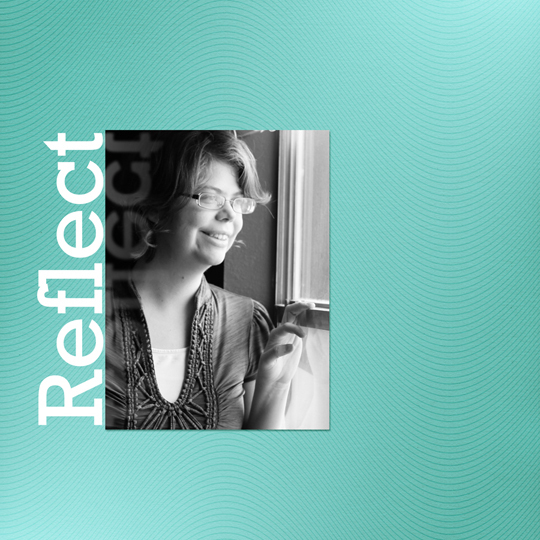 Reflected Text is quick and easy, and it’s the perfect way to finish so many different layouts. First, create a new document for your layout. Type your title. Then use the shortcut Ctrl+J (Cmd+J for Mac) to duplicate the layer. 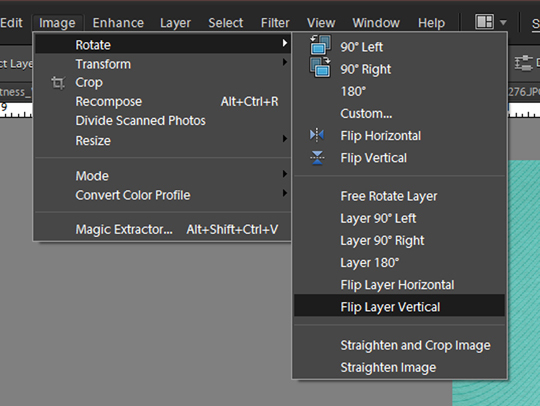 Right-click on the duplicated layer in the Layers palette. Choose Simplify Layer from the drop-down menu that appears. This changes the layer from a text-editable layer into a normal layer. With the duplicated layer still active, go to Image > Rotate > Flip Layer Vertical. Use the arrow keys to slide the flipped title down below the original title. 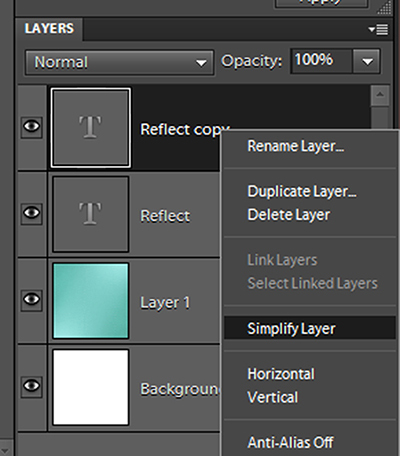 Add a layer mask to the duplicated layer by clicking on the Layer Mask button in the Layers palette. This will add a white box next to the thumbnail of the duplicated layer in the Layers palette. Make the mask active (outlined by a thin white box) by clicking on it. 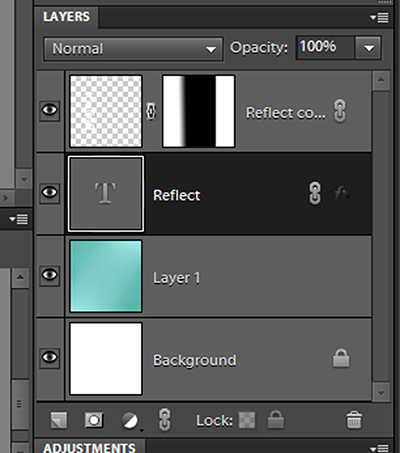 Then make sure the Foreground/Background Color palette (at the bottom of the Tools palette) is set to black and white. Make the Gradient tool active in the Tools palette. Click on the Edit button that appears at the top of the screen. 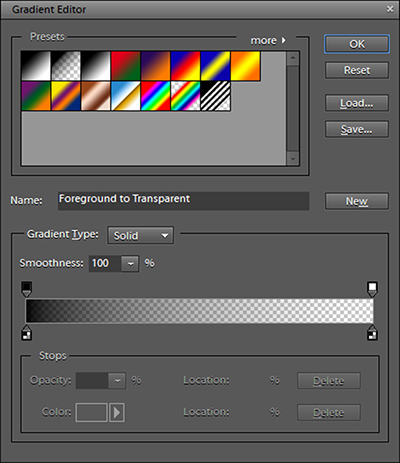 When the Gradient Editor window opens, choose the preset gradient named Foreground to Transparent. Apply the gradient by clicking and dragging the mouse down. You don’t need to drag very far, only about as far as your duplicated title is tall. Play around with the gradient until you get the look that you like. Next, soften the edges of the duplicated title by clicking Filter > Blur > Gaussian Blur. 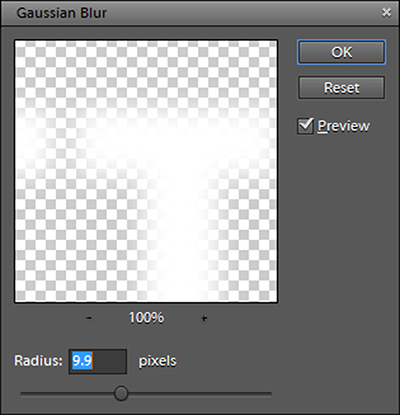 Move the slider at the bottom of the Gaussian Blur window to make the effect more or less pronounced. Finally, add a photo under the duplicated title layer. 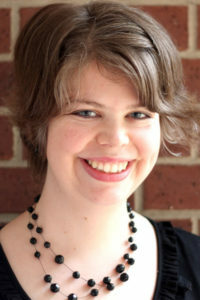 You may want to reduce the Opacity of the duplicated layer to help it fade into the photo even more. You could use this same reflected text technique for anything from a picture of a calm lake at sunset to a selfie snapped in a mirror. It’s lots of fun, so why not give it a try? 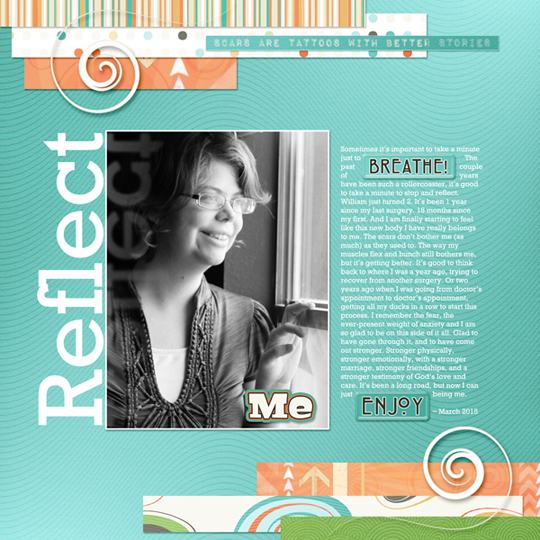 And be sure to post your layout in the Scrap Girls Gallery – I’d love to see what you create!